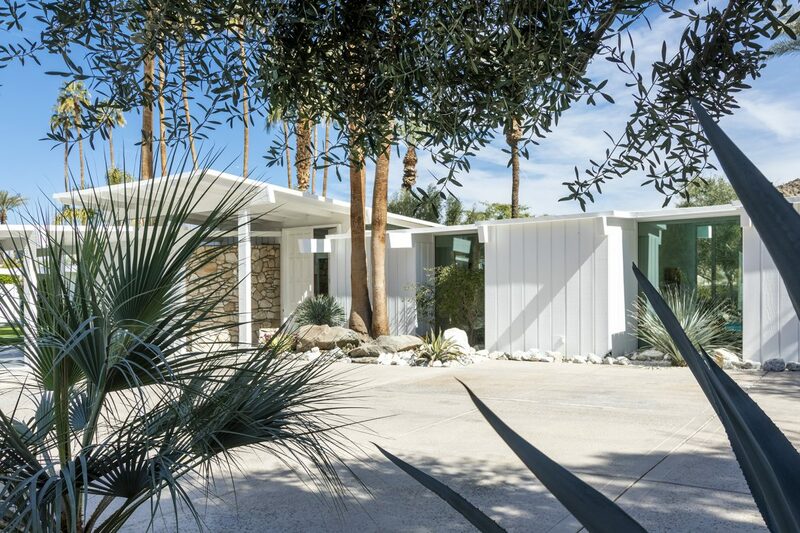 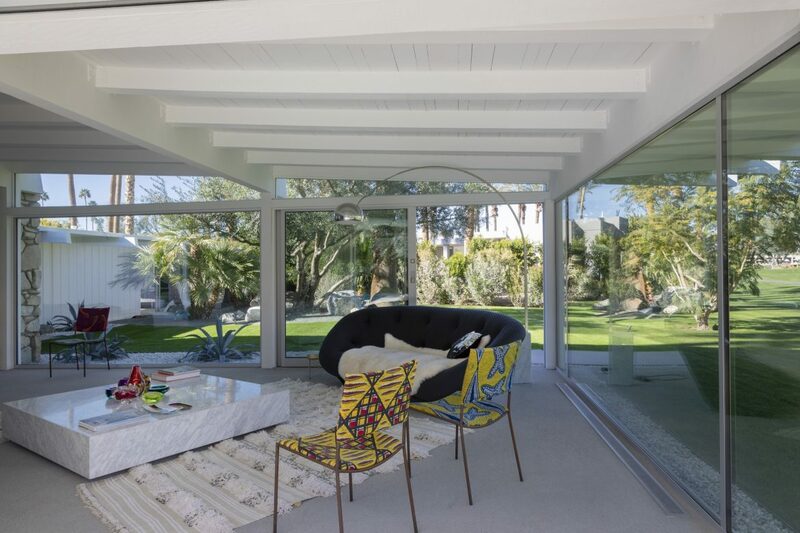 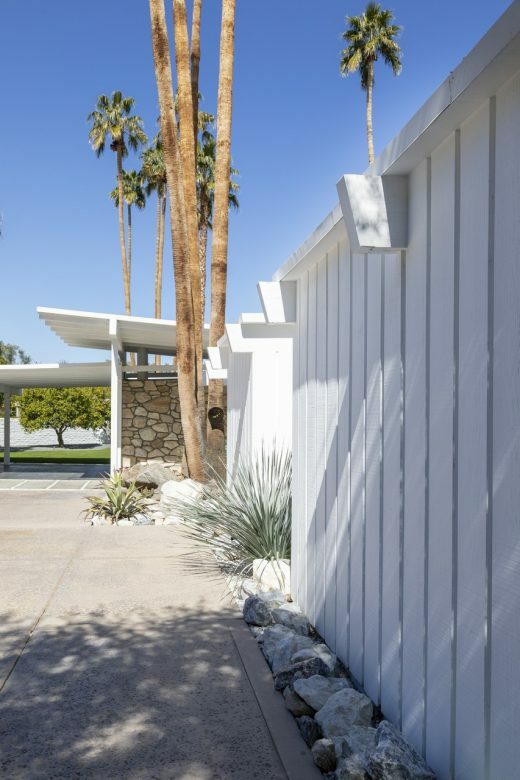 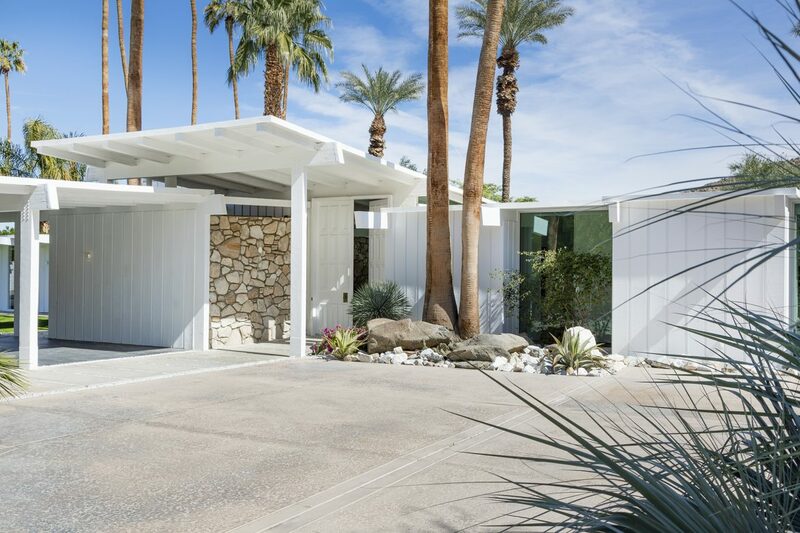 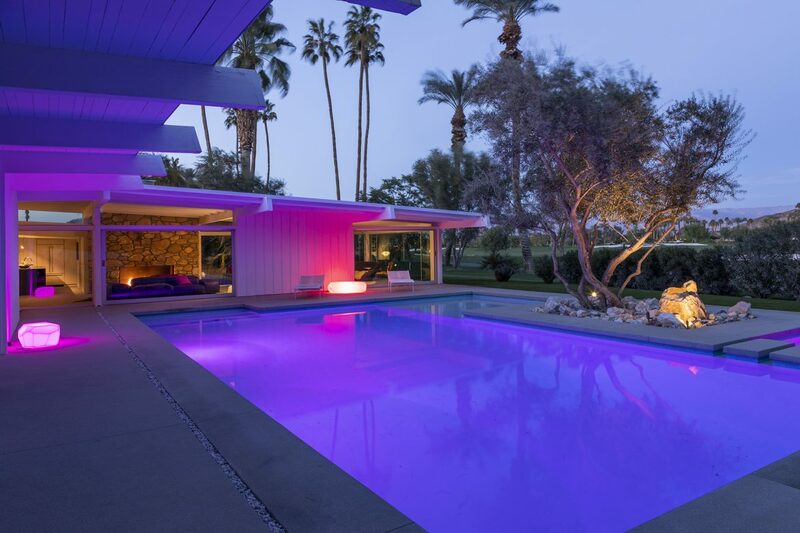 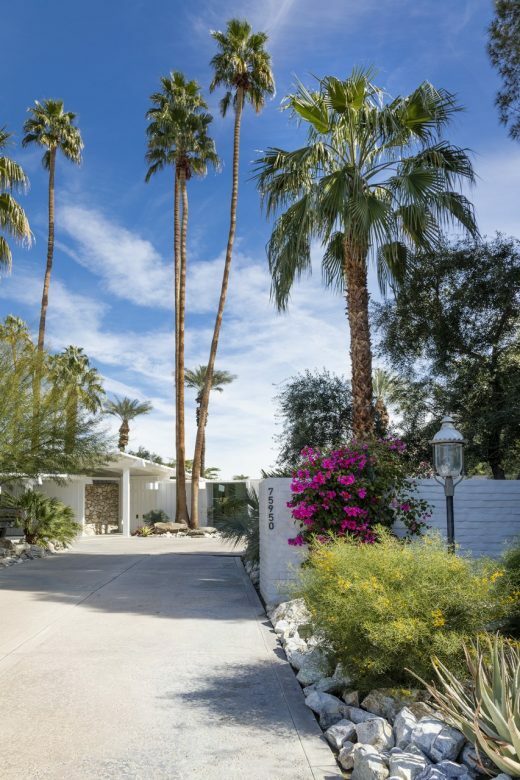 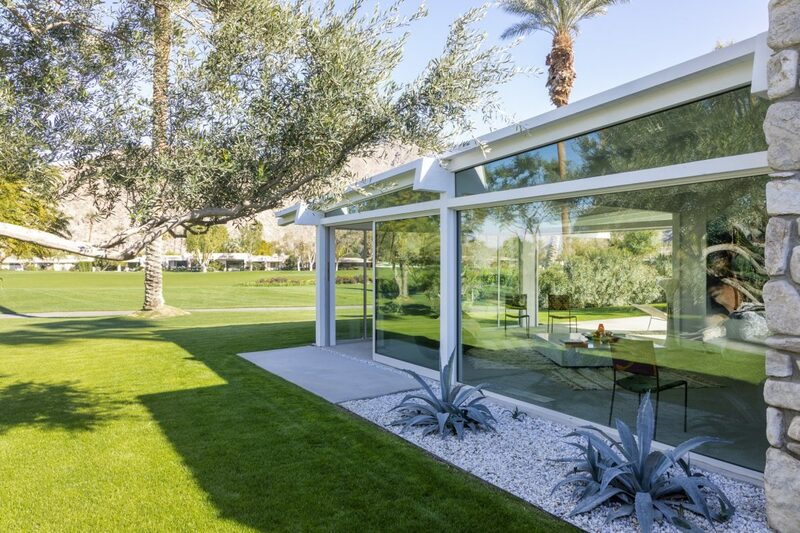 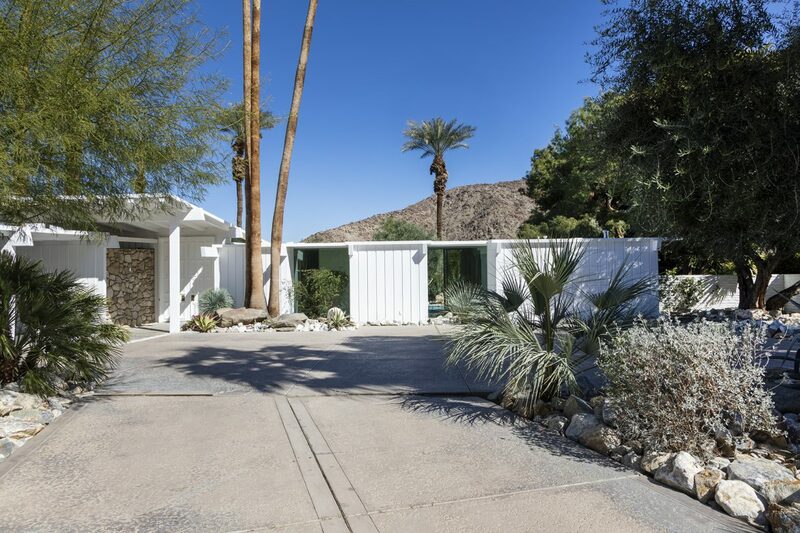 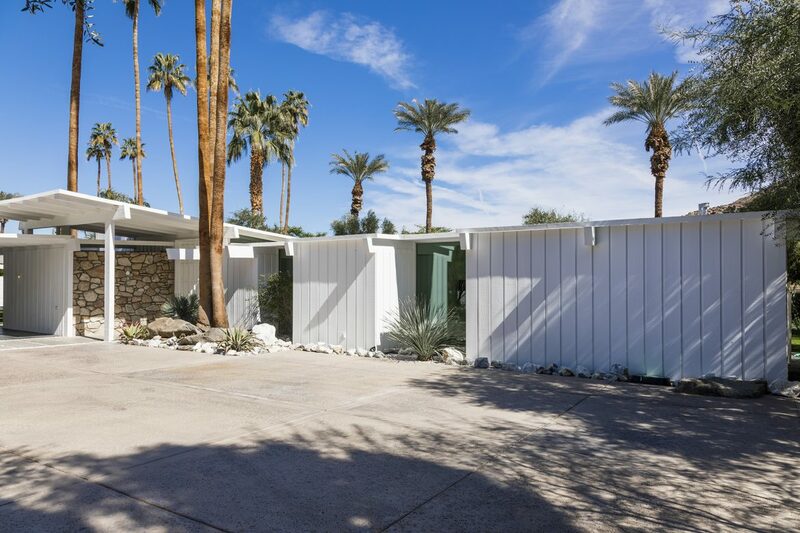 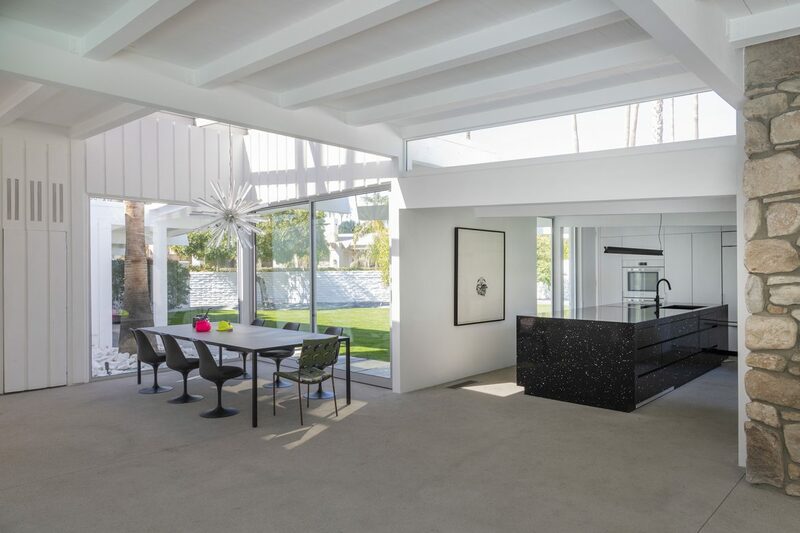 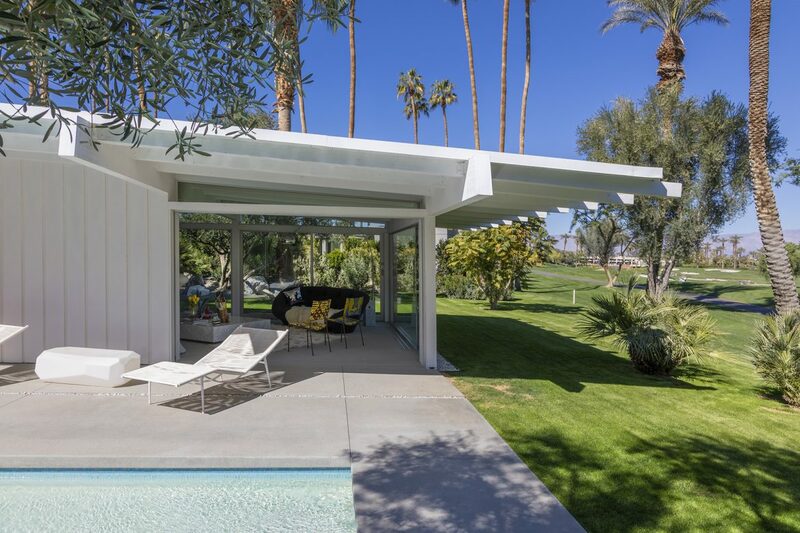 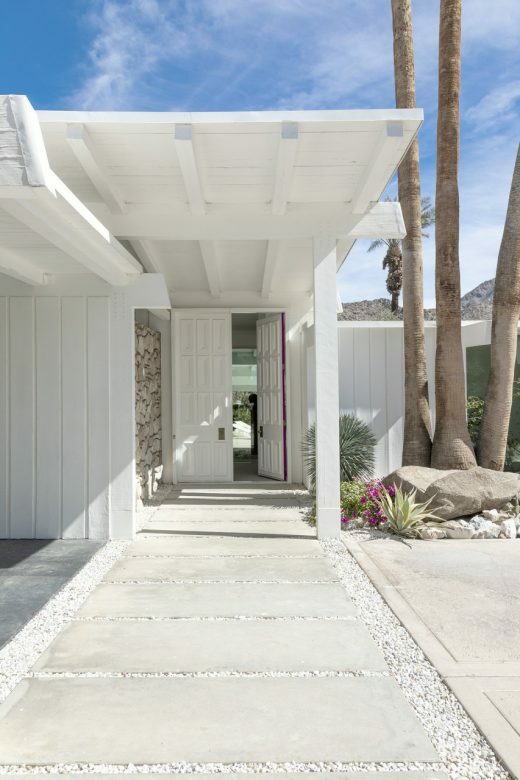 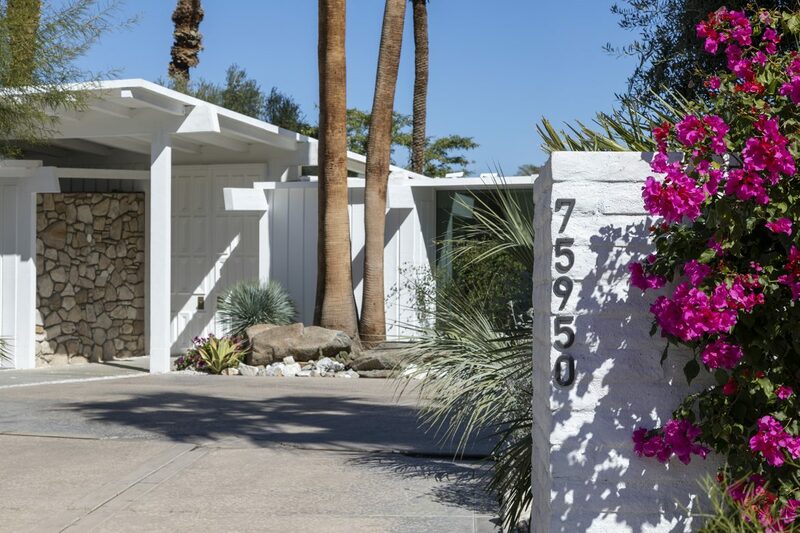 A mid – century masterpiece by prominent Modernist architect William Cody, an influential desert modern architect working in Palm Springs during the peak of theModern Architecture Movement boasts an open great room floor plan with wood beam ceilings and walls of glass that bring in the outdoor vistas. 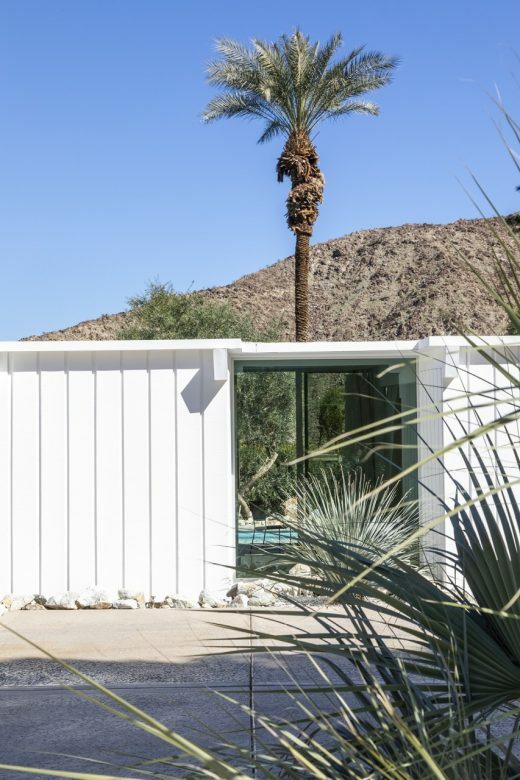 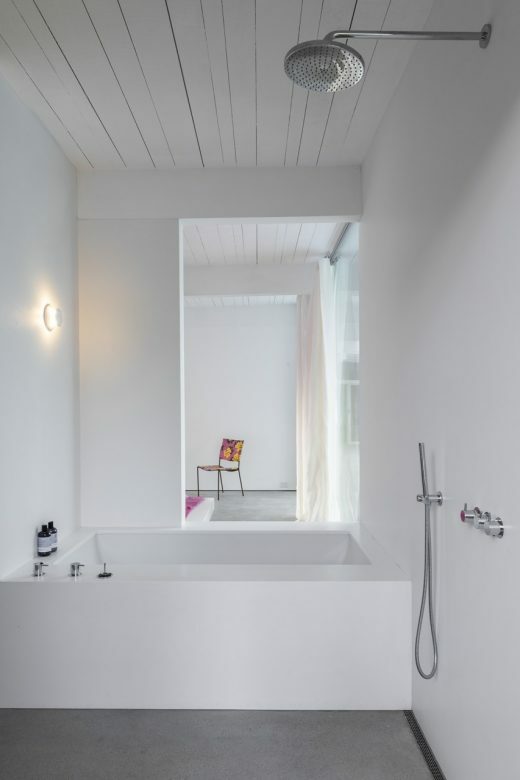 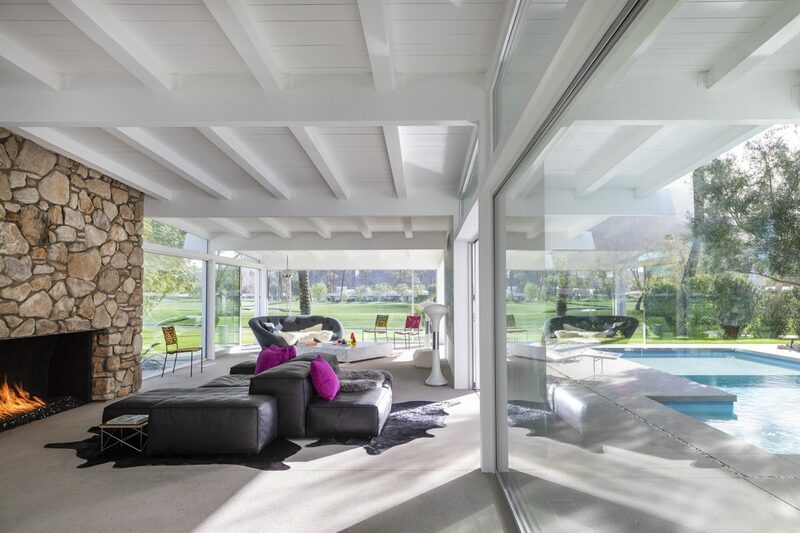 His residential projects illustrated simplicity of form, natural light, and large windows displaying a smooth connection between interior and exterior. 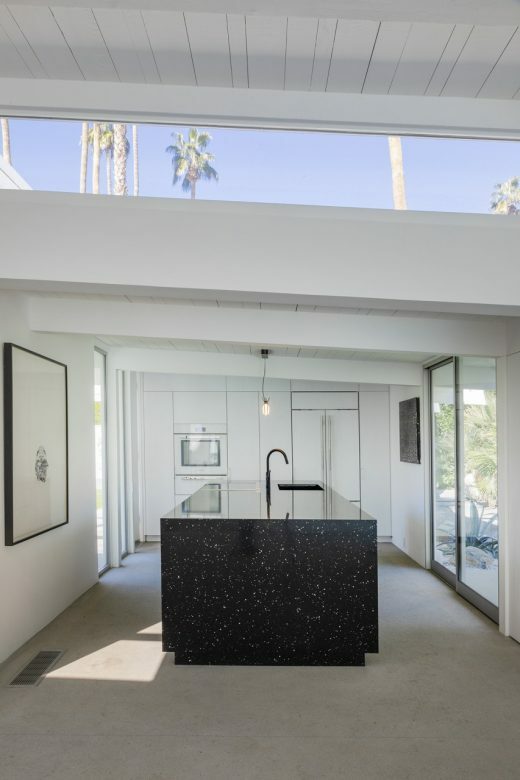 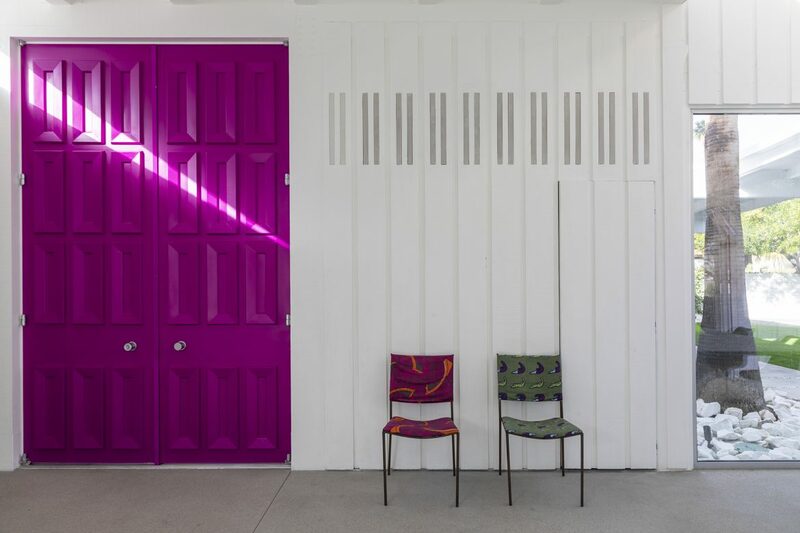 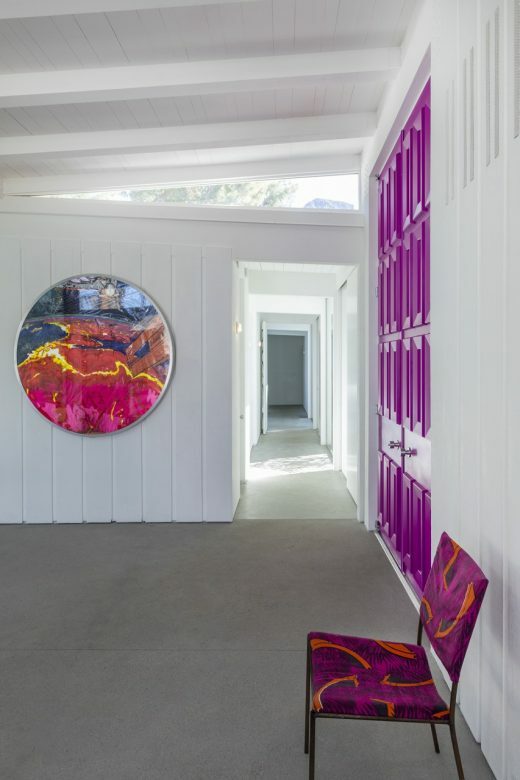 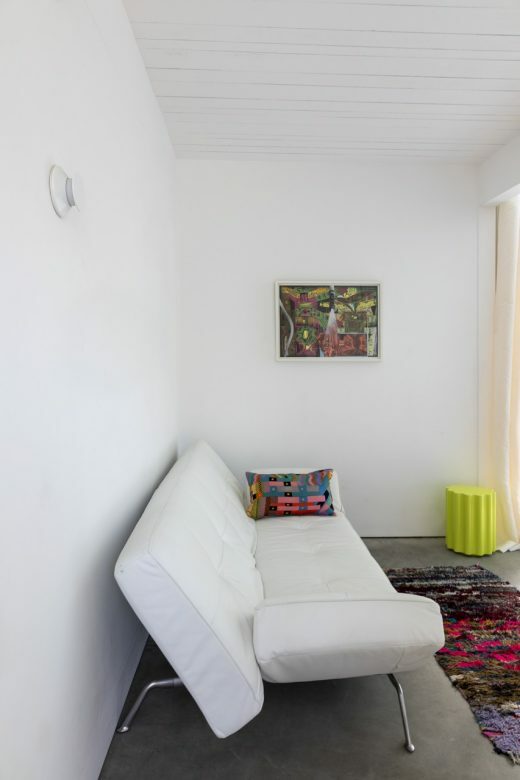 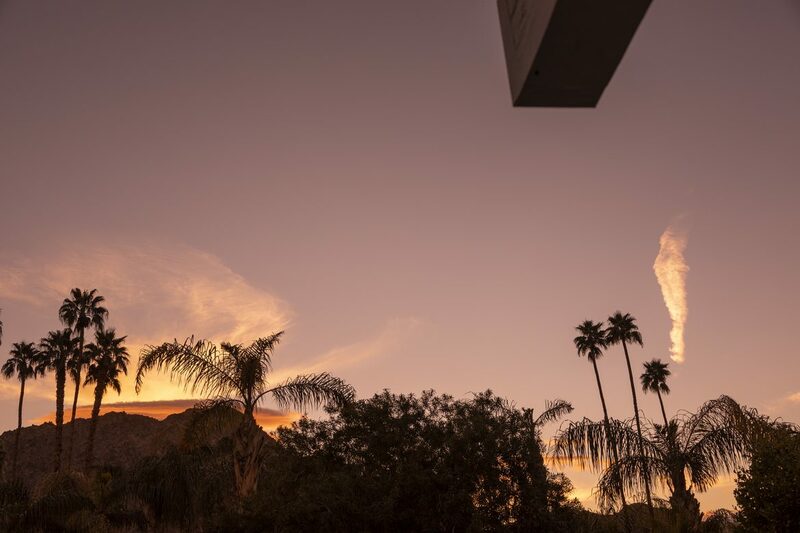 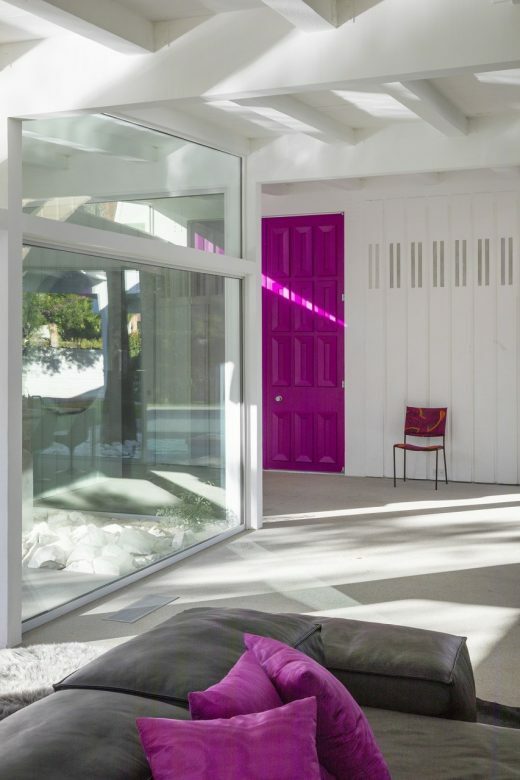 The owner, a european fashion designer choose an eclectic interior for herself filled with contemporary art pieces from LA based artists combined with contemporary furniture, which makes this place a cool heaven in the heat of the desert.